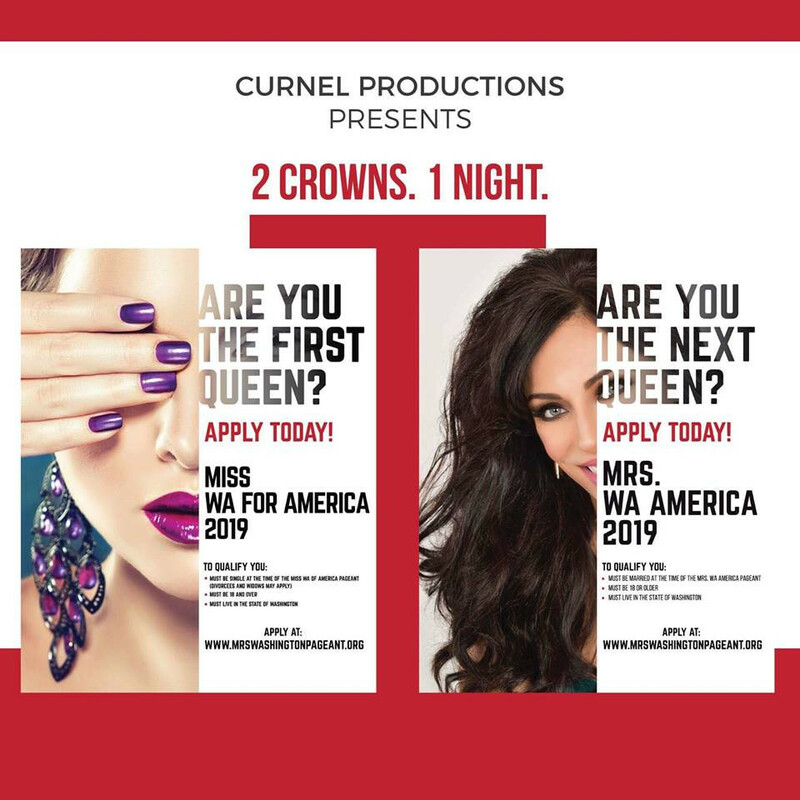 The Washington Miss For America pageant is a brand new pageant system as of 2018 that is owned and operated by the Mrs. America Pageants organization. There is a Miss For America pageant in every state. 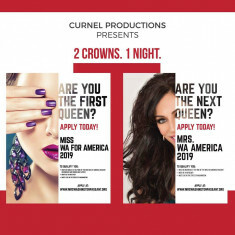 The Washington Miss For America pageant is directed by Pamela Curnel, the same director for the Mrs. WA America pageant. This is a pageant for women, age 18 and above who are not currently married. You may be currently single, never married, or divorced and you can have children or not. This exciting new system is the only one like it in the state of Washington! Our mission is to empower and mentor women to “Make a Difference” in their communities. You will experience a year filled with free workshops, community service opportunities, appearances, parades, fun parties and meeting new friends! The Washington Miss For America pageant will be held along with the Mrs. Washington America pageant. They will both be held on June 15, 2019 at the Kenneth Minnaert Theater for the Arts in Olympia, Washington. Please visit our Facebook page, website or contact Pam Curnel directly. 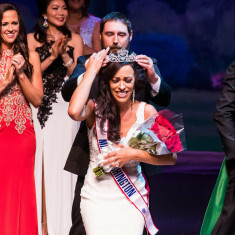 How to compete in Mrs. Washington America? I have competed 3 times before winning this pageant. I am Mrs. Washington America 2018 and I can not begin to put into words how much I love this pageant and my directors they are the best and most amazing people that I have ever meet. They love me, spoil me and treat me and my family as though we are their family. Competing in this Pageant has brought forth so many opportunities to me and my family and I am so blessed to be their Queen. Trust me when I say this pageant will change your life!